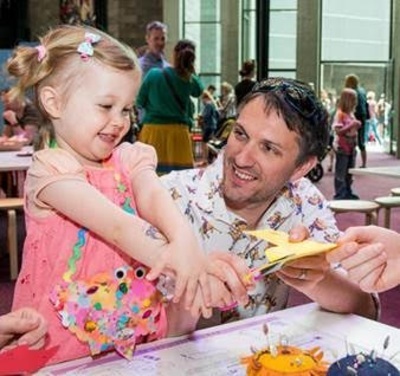 This January, the National Gallery of Victoria (NGV) hosts the inaugural FREE kids summer festival. From 16 January 2016, the 11-day festival will take place in the NGV International and The Ian Potter Centre: NGV Australia. Within the magnificent Great Hall of NGV International, cats and kittens will be on the craft-agenda. Taking inspiration from the current Andy Warhol and Ai Weiwei art exhibition, bloggers Meetoo and tiny & little will present a finger puppet making workshop. 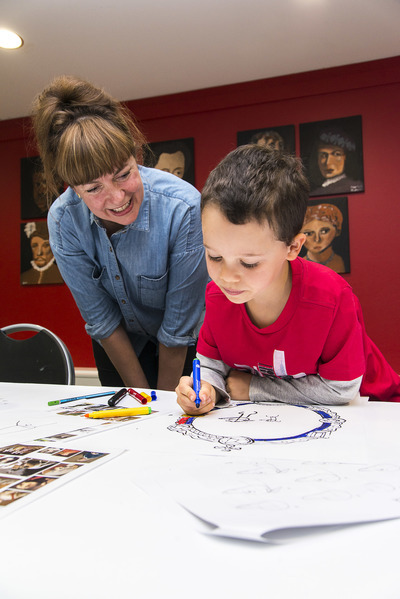 Your children can also have a go at illustrating in the Draw a Cat with Kat activity, with Melbourne illustrator Kat Chadwick. On Australia Day, vintage beauty and fashion blogger Candice DeVille will demonstrate popular hair styles of the 1960s; a time when Andy Warhol's reached the top of his career. On the same day, the Young Australian Broadway Chorus will American tunes to the Great Hall. One-man-band Uptown Brown will also entertain visitors with a range of instruments. Next up, designer Laura Blythman will lead a neon coloured workshop in which your kids can decorate printed vases and ice cream cones. Melbourne craft star Pip Lincolne will create a mural of paper flowers on the first few days, which will remain on display at the NGV throughout the festival; your children are invited to join her. It doesn't stop there! In the gardens of NGV International, your children can learn about organic food, edible seed planting and the environment with The Sage Garden. At NGV Australia in Federation Square, your children can try their hands at screen printing with Home-Work Studios’ Jess Wright and Lara Davies, or decorate a terracotta pot in honour of each of the Australian Rules Football teams in Our Land is Alive: Hermannsburg Potters for Kids.